Juliette Lewis was an unlikely guest invited on board the $200 million superyacht Rising Sun to hang with yacht king Leonardo DiCaprio during the 2015 Cannes Film Festival. It is thought Leo borrowed the so-called ‘megayacht’ from super-rich businessman and producer David Geffen according to yacht website SuperyachtFan, who it said to own half a share of the yacht. Measuring a huge 138 meters/453 feet, it seems lately only the largest superyachts will do for Leo, who chose the fifth largest yacht in the world, 147 metres/482 feet Topaz last summer to celebrate the World Cup on with close pals! In the video above, Juliette shows off Rising Sun’s luxurious sundeck and gym to her 245,000 Instagram followers. 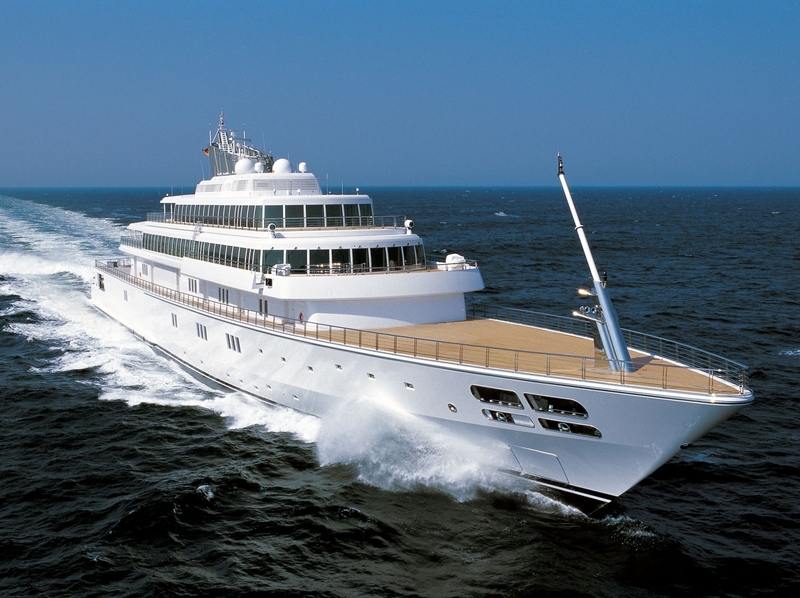 The yacht boasts another 81 rooms across her five levels, which take up a huge 8,000 square metres (86,000 sq ft)! Leo and Jules were treated to use of a spa and sauna, a private cinema, jacuzzi bathrooms throughout, a large wine cellar and could even play a little b-ball if they wanted, thanks to the yacht’s convertible helipad. Juliette shared the video with a typical celeb caption, ‘#YachtLife pt 2 #FriendsWithBigToys #Cannes2015 #what #blissing #StopIt #SunWorship #NeverGoinHome’ before late removing it – maybe the super-private Leo asked her to take it down? Juliette enjoyed her morning workout in luxury yacht’s state-of-the-art gym facilities, featuring weights and all the cardio and muscle equipment she could wish for when not able to get to her regular gym!